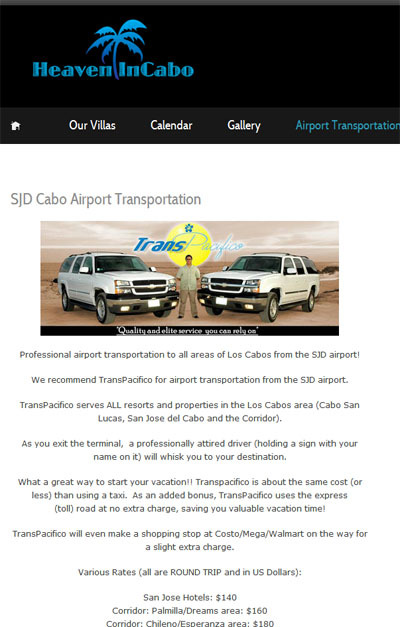 TransPacifico: We've updated our website and our TransPacifico airport transportation page has moved! Click here for the new page or click on the image below. Thanks!